Mapping the Model was an Arts Council of Wales Lead Creative Schools Project, that took place in Model Church in Wales School, Carmarthen, in the Spring Term of 2018. The project was a collaboration between artist Rowan O’Neill and the Year 4 Creative Group, and was designed in response to the brief prepared by the school: Can an exploration of deep mapping, via Welsh poetry and drama, improve confidence and oracy skills and enhance creative thinking for pupils in Year 4? 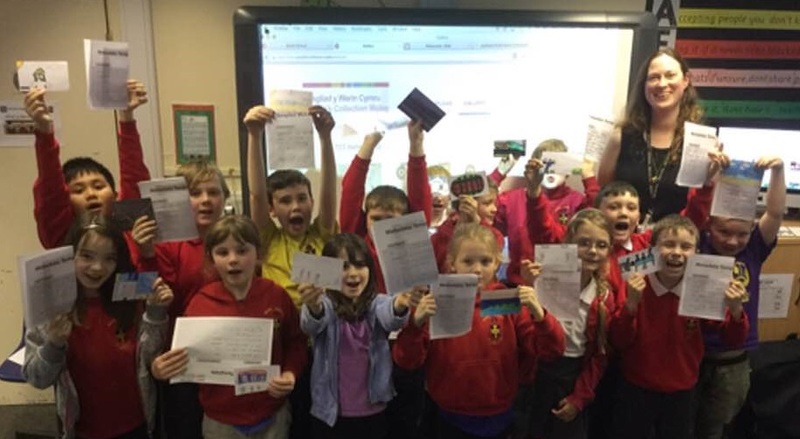 The challenge of this project was to find different ways of mapping links between the school and the town of Carmarthen, including geography, history and legend. The result was an investigative project around the concept of mapping, that used People’s Collection Wales to digitally publish and record the diverse work created.